Couples Need To Match Expectations Of Marriage With Ability to Deliver : Shots - Health News People often expect a great many things out of a marriage. That can work if spouses are pragmatic about what they're really able to deliver on, a study finds. Expect the best, or plan for the worst? Only if that matches your capacity to deliver on expectations, according to a study published Wednesday in Personality and Social Psychology Bulletin with the deflating title, "Should Spouses Be Expecting Less From Marriage?" Expecting a lot can make a marriage more satisfying, the study finds, but if people can't meet those expectations — whether for lack of time, effort or social skills — the relationship will suffer. The study examines the premise that modern-day couples load too many expectations onto the institution of marriage — that it will meet their needs for intimacy, autonomy and friendship, to name just a few. To explore that premise, James McNulty, a professor of psychology at Florida State University, tracked the relationships of 135 couples in eastern Tennessee for four years, starting when they were newlyweds. The participants periodically completed individual surveys on their expectations for the marriage and their level of satisfaction. The couples also were videotaped talking over points of contention in the marriage, to gauge their verbal communication skills. 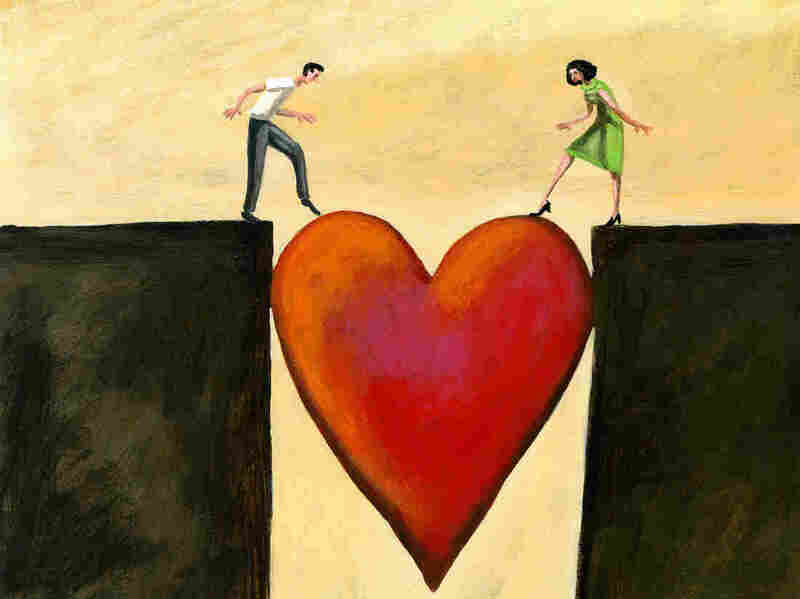 The marriages in which spouses were able to work well together, including being direct about what their partner did that made them mad and what they wanted that partner to do about it, were more likely to feel that the marriage met their high expectations for happiness. But people in marriages where a spouse resorted to indirect hostility — things like sarcasm, mind reading and hostile jokes — were less likely to feel things measured up. Indirect hostility leaves a partner wondering what the heck is wrong, McNulty said via email. "That is why it is problematic; it conveys discontent without providing the partner with clear information about how to address the underlying issue." But here's the rub: If those couples had low expectations for marriage from the get-go, they didn't become significantly less happy. Their expectations were fulfilled. The question, then, is how to match one's expectations with one's ability to deliver. There are two options, McNulty says. "One is to try to fix the marital problems. Marital therapists can help with this. Talking about the underlying issues can also help. These are the best options if problems are fixable." And if those problems aren't fixable? "You can understand, realize and accept that you will not be able to achieve all the benefits you have been demanding out of marriage," McNulty writes. The trick, then, is to demand enough of the marriage but not too much, after the honeymoon glow has faded.